Would you like to travel to Brazil, see the country and learn more about it, but can't afford the time or money? Now is your chance! Travel to Brazil with Luiza. Find out about her country. Ask questions. She will enjoy telling you about the country she loves and grew up in. Must have a ticket to enter for presentation. Seating is limited to 12 at each time slot. Luiza is from Brazil and would love the opportunity to share with you information about her country. Tickets are required..the event is FREE, but space is limited. Sign up today to meet Luiza and learn about her country. 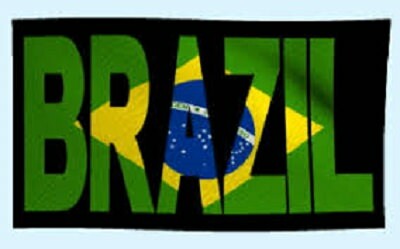 To reserve your spot today go to our website at: http://www.greenevillefarmersmarket.com/travel-to-brazil.html and choose the time you would like to come. Tickets may be picked up at the Market Information table 15 minutes prior to your scheduled time. In the meantime check out our current online vendors and what they are offering. Pickup will be at the market on Saturday morning between 10 and 11 am.